If you are going to have a photo booth, then having the best photo booth props is a must. 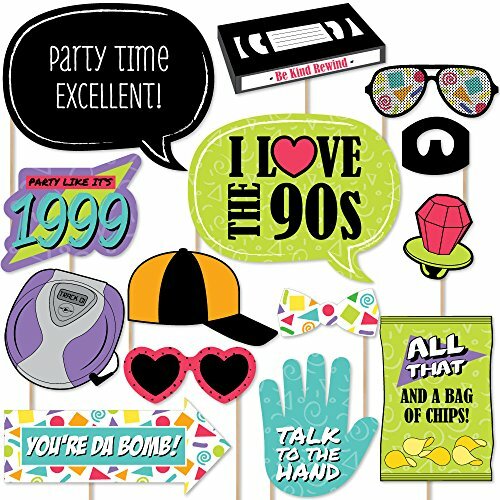 Our 90's Throwback - 90's Party photo prop cutouts will help you easily create fun party photos at your party. The photo booth prop kit comes with 20 pieces and is ready for quick assembly. Simply add the included wooden dowels to each prop, attaching with the included clear stickers, and display alongside a fun photo booth backdrop. Your party guests will enjoy using the fun faces and accessories to liven up your photos! Specifications: Single Piece Seamless Design Size: 7 x 5FT / 2.1 x 1.5M Package Content: 1 x Snowflake 7 x 5FT / 2.1 x 1.5M Photography Backdrop Background Stands not included. Using: If you don't have a photo booth stand to hold it, recommend using ties and those self adhesive hooks that temporarily stick to the wall. Custom Made: We can customized any size for you(5x7ft,8x8ft,10x10ft,10x20ft etc),also we can print your own picture as backdrop. Perfect for professional and amateur photographers: Our Photography Backdrops are easy to use for all levels of photographers. Every backdrop features a seamless pattern that is printed with fade-resistant ink. Also great for pet photography, product photography, videos and DIY photo booths. Notes: 1. Material vinyl not washable.If there have messes just take a damp cloth with water and/or a gentle cleaner(like soap) and wipe clean. 2. The method to removed the creases. a. Roll it up tightly with a cylinder for 3-4 days, it will be ok. b. Heat it with a steam iron on the back of item, then it will be smooth again. 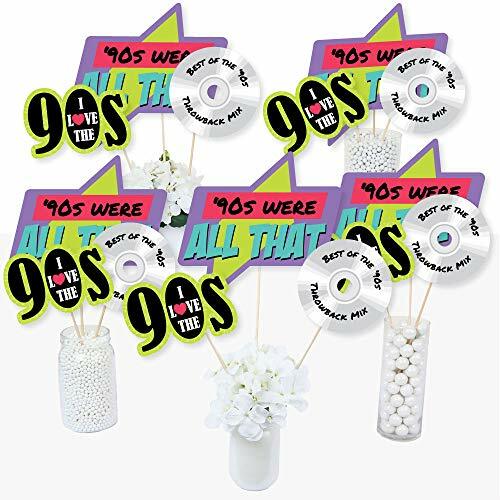 Bring your party theme to all areas of the celebration with 90's Throwback Table Toppers. Each heavy-duty card stock paper cutout quickly attaches to the included wooden dowels to create centerpiece sticks that can be used in vases or floral arrangements at all your party tables. You can even add them to candy jars at your goodie table! 90's Throwback centerpiece sticks may also be used as photo booth props. You will love how versatile this fun party supply is while your guests will adore seeing them throughout your party venue. Get creative with this set of 15 table toppers and have the truly YOU-nique celebration. 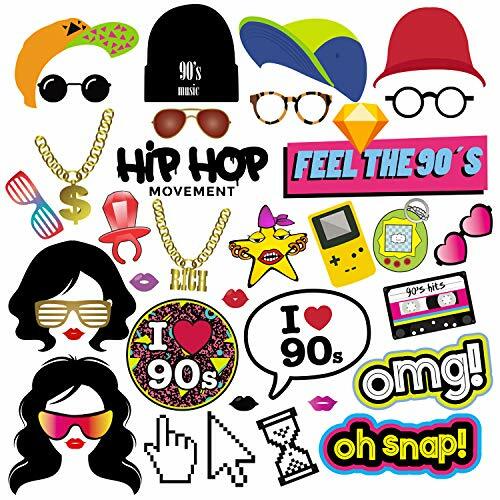 Perfect for your 90s theme party. There is a nice assortment of colors in each package which may include red, yellow, blue, green and orange. CD Paper Plates and Floppy Disk Napkins? Yes please! 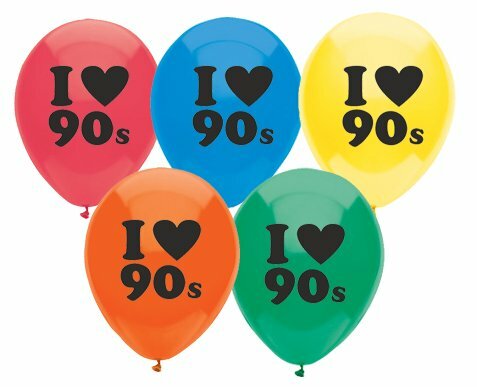 Your 90's event won't be complete without them. These are a classic sign of the times, and will make your food table stand out in true 90's style! 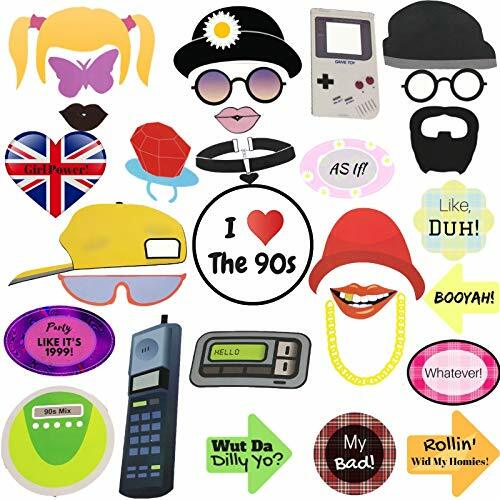 Get ready to party with our 90's Throwback photo booth prop kit. This AUTHENTIC (no 80s colors or sayings that no one ever said!) 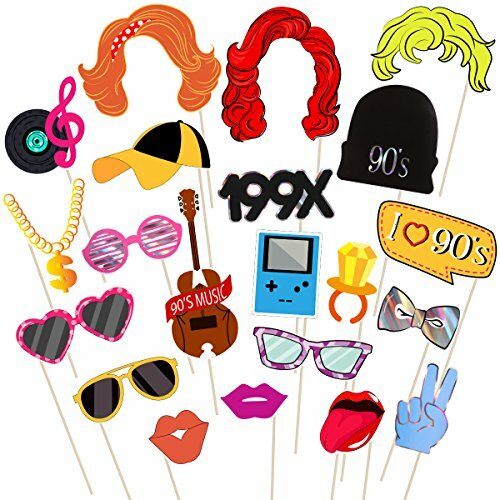 1990s photo booth prop kit is a great way to get everyone excited to take shareable party pics. 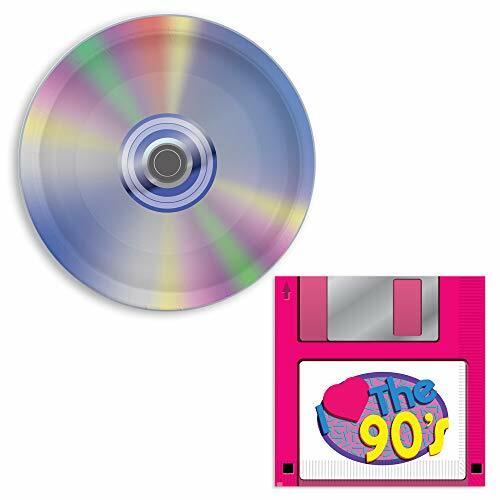 The 30 fun 90's Throwback photo props will perfectly coordinate with any 1990s themed party decorations. Why do we say AUTHENTIC? 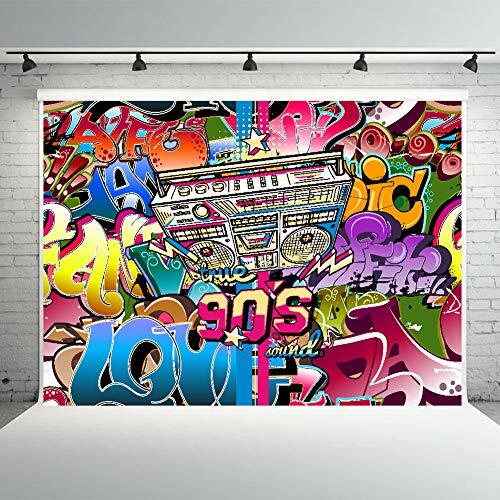 (This is the era of grunge and hip hop, not pastel or neon which was Totally 80s! Designed by folks who were teenagers in the 90s!) 90's Throwback Photo Prop Details: 30 90's Throwback Photo Booth Props Professionally Printed & Cut Made of Card Stock Paper Includes 30+ Wooden Dowels & Adhesives Designed in the USA Simply add the included wooden dowels to each prop, attaching with the included clear stickers, and display alongside a fun photo booth backdrop. What's aaaaap! In this video I give you guys a couple of tips on how to host your very own 90's themed party! (Can i get a what what?) Music Food Decorations Costumes so raise da roof and party on (Garth)! GWRM & VLOG | 90'S THEMED BIRTHDAY PARTY! Hello guys, this weekend was my sisters birthday and she wanted everyone to dress like the '90s and we went skating and to dinner! I hope you all enjoyed this video.